"Of the period." 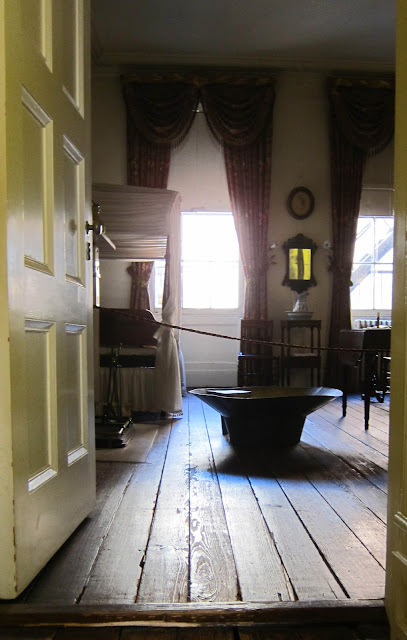 It's a common description used by historians, curators and tour guides of furniture, paintings and common household stuff that fills historic homes so that a look and feel of a certain period can be conveyed. Merchant's House furnishings are not of the period. 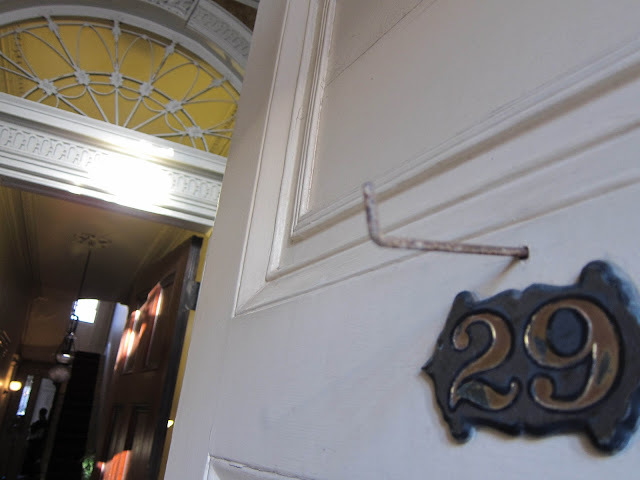 Instead, it's a time capsule of just one family, from the day it was purchased in 1835, to a day in 1933 when it was sealed and preserved after the youngest family member died in the room she was born in... 93 years earlier. Located at 29 East 4th Street, it is the only home left of what was once a row of townhouses. 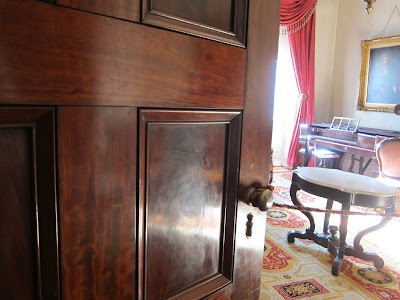 You enter through a vestibule and the smell of the years, maybe even Seabury Tredwell's family, hangs in the long narrow hallway leading to the back of the house, and the ticket office-book store, run mostly by volunteers. 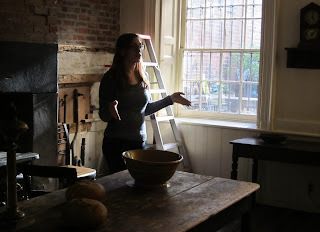 I recommend the guided tour which is offered several times a day but check the schedule on line. Like a lot of things historical and locally run, it can change. A kitchen and family room occupy the ground floor and we're told this was the main living area of the family. Consequently, less stylish furniture would have been used here. 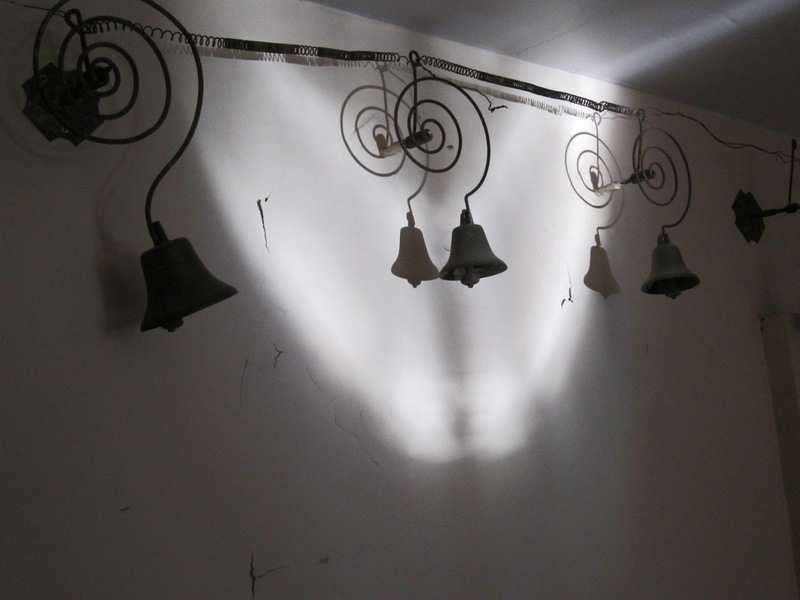 A call bell system to alert servants is still in place. 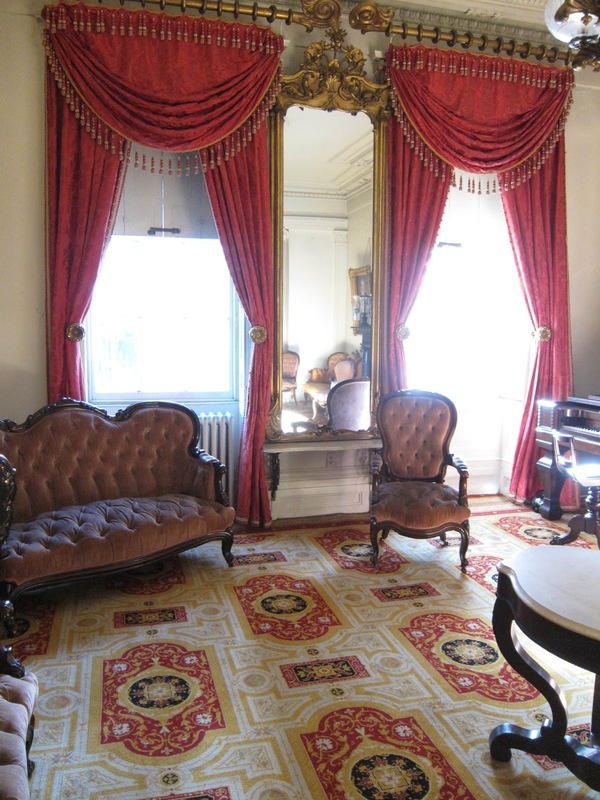 The upstairs parlor and dining room, taking up the entire first floor, were reserved for formal occasions. 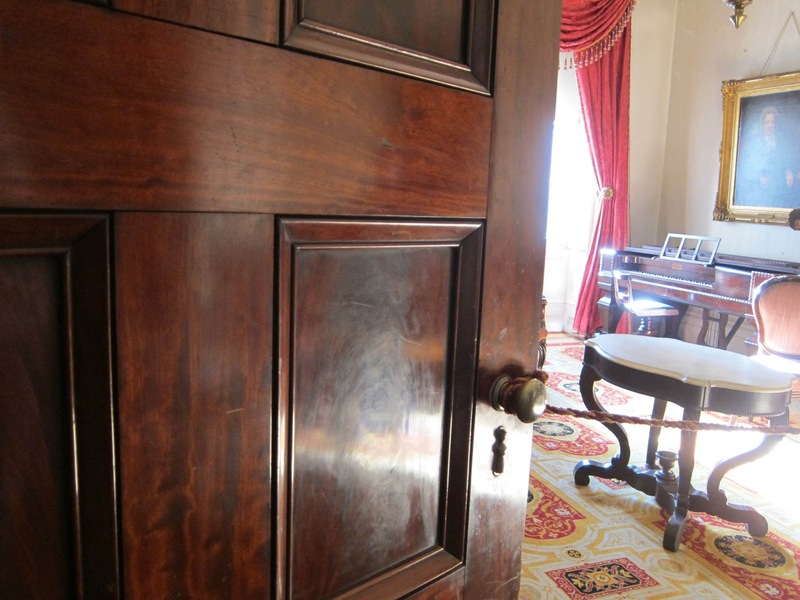 I stare at a solid mahogany door with the deepest warm glow -- Like it was reflecting every party it had seen. I touch it...with the hope I can feel at least one party. Bedroom closets upstairs are filled with Tredwell linen, dresses, shoes, shawls, lace and a wedding dress. A hat tub, the first I've seen, sits by a fire place. 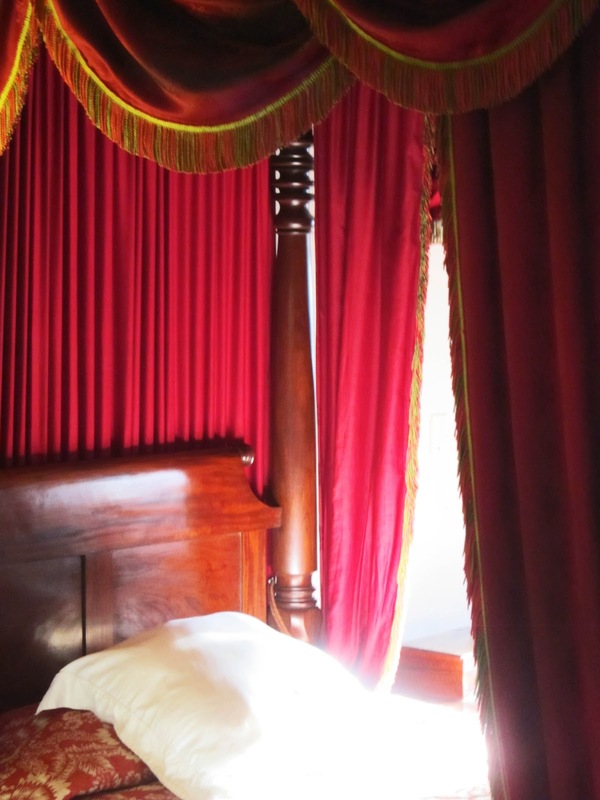 Massive canopied beds fill the rooms. As the guide continues, I'm distracted by the simplicity of a closet. Deep, but narrow, it stretches upward like a chimney. I look up and for the first time feel like I'm intruding -- Poking my nose into the Tredwell's things and past. 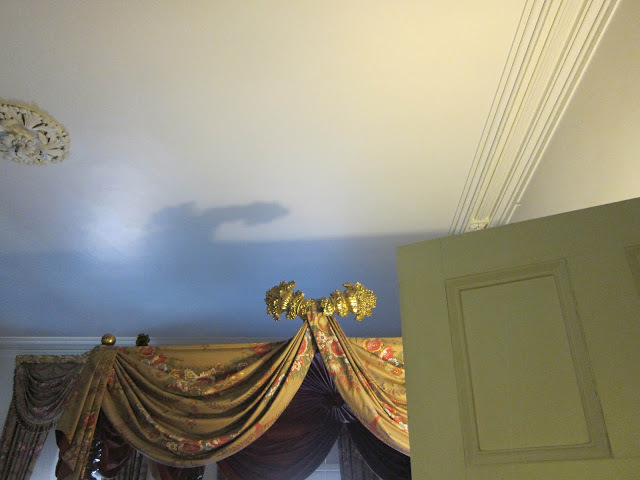 You can only see the servant's floor on the guided tour. 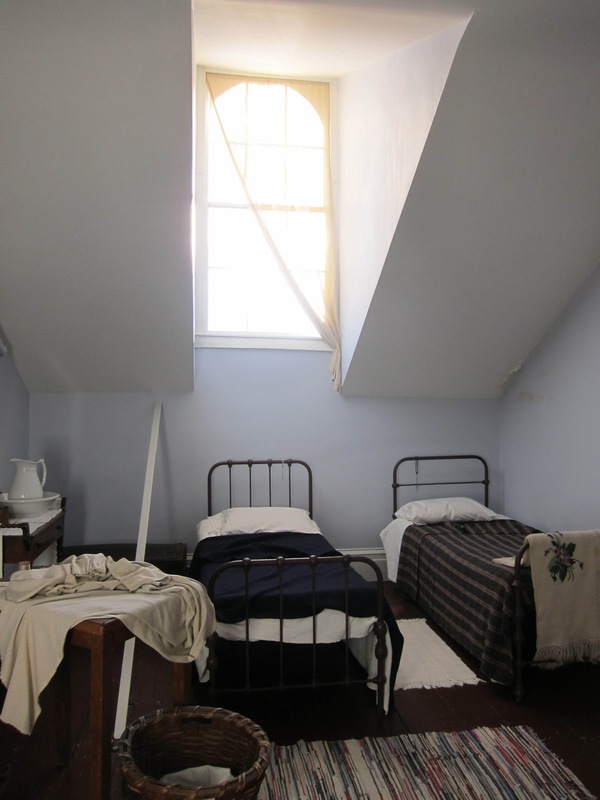 It is the highest floor of the house and there's an area between four rooms where sheets were hung and dried. Today the room is filled with furniture but I can see the sheets hanging inches off the floor and creating narrow passageways like a white maze. I tell myself I have to come back...Wise thinking because sadly -- it might all be gone very soon. 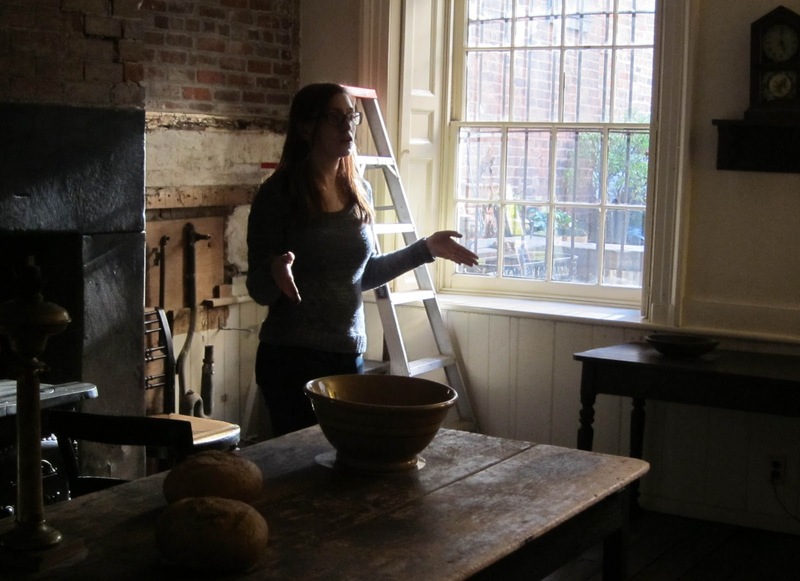 A developer is looking to build a hotel next to the Merchant's House Museum. While it will certainly affect the aesthetic of the street -- a nasty anachronistic contrast -- Merchant's House, once supported by townhouses on either side, now stands alone and any construction next door could collapse the almost 200 year old home. 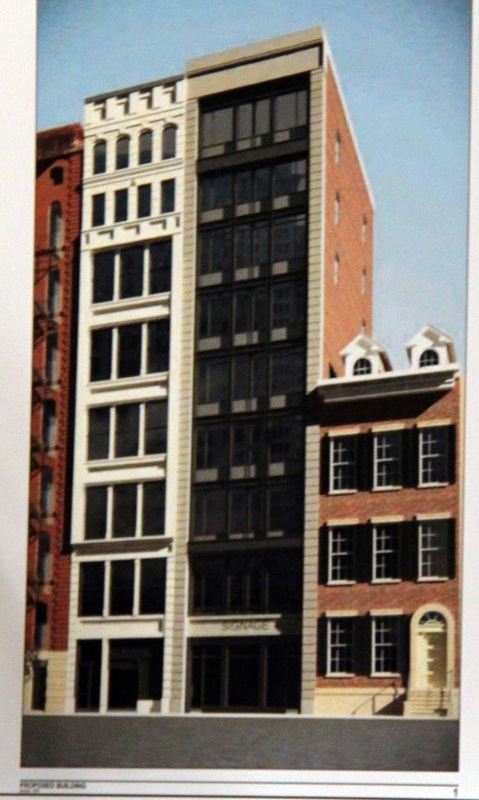 This Tuesday, March 12th, the Landmarks Preservation Commission may vote to approve or deny the developer's application. Six months ago the commission backed down from a vote due to the large turnout of Merchant's House supporters. 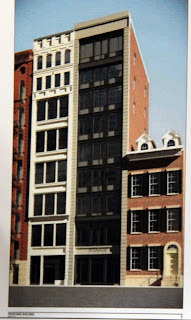 The hearing is scheduled at 10:55AM at 1 Centre St. in the Municipal Building at Chambers St on the ninth floor. If you'd like to show your support for the Merchant House, be there at 10:25 AM. No voting or speaking. Just a show of force to protect this unique home. We survived! LPC sent the developers back to the drawing board. Humongous thanks to all who braved the miserable weather to once-again fill the room. I know of no other home like it in the US. Where everything is original to the home. I'm guessing you can find it everywhere in Europe but it's a rare thing here. My good friend is essentially the most knowledgeable home, antique, restoration guy in the Southeast. 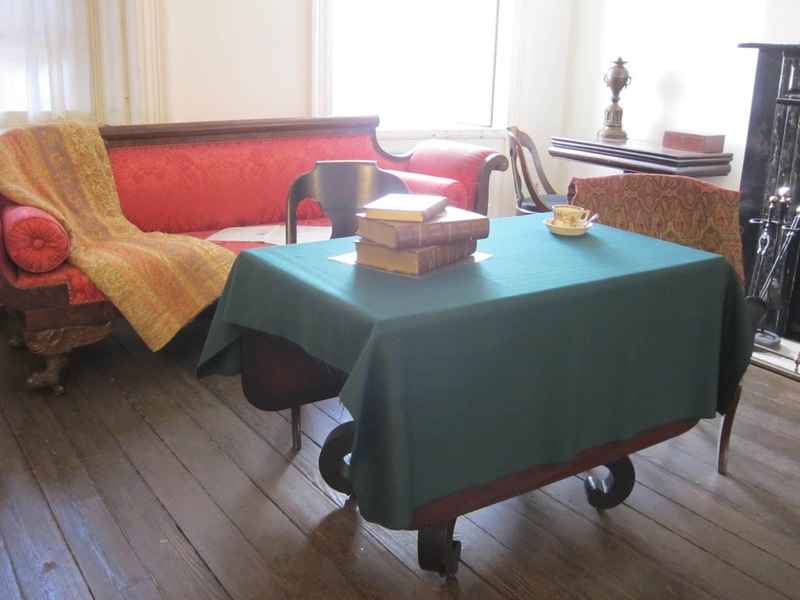 He restores homes to the period, including the furniture. 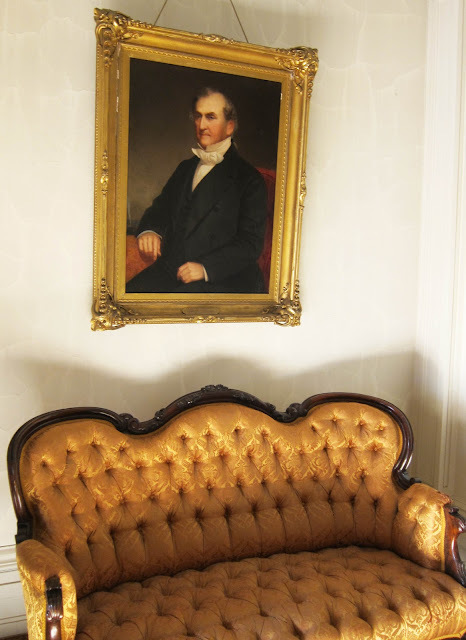 Right now, his home is an 1830s one built as a summer home. He has it as it would have been, complete with the furniture. He noted that the doors, which are still original, once had silver hardware, except for the hinges, but were sold during the depression. Those knobs in your pictures look silver, but I cannot tell. He also has piano like one in the pictures that he claims is one of only 6 in the country. These places are really cool. If you're ever in Athens, I'll take you. I was just up at the Vanderbilt mansion this weekend. 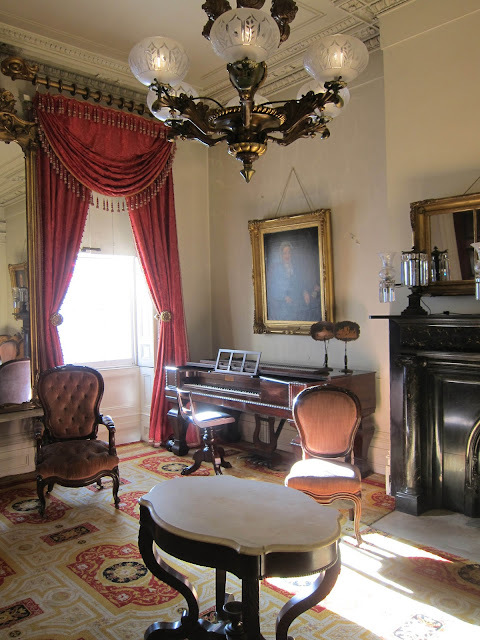 It a great example of the Gilded Age and still has some of the original furnishings. But it's so grand, that the sense of 'everyday folks' is a bit hard to perceive. I will check out the Merchant House, asap! No! I wish I still lived in town, I'd be at that meeting in a heartbeat. 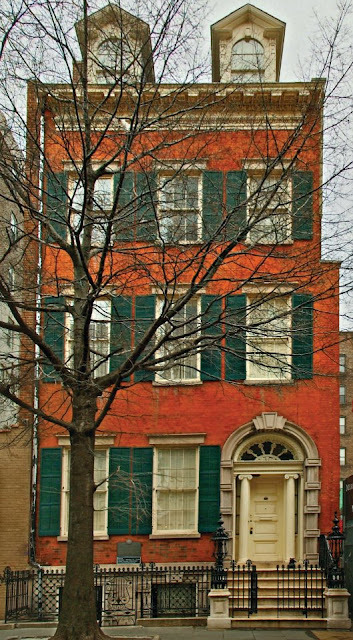 Merchant's House is an unbelievable treasure of 19th century New York life. Does downtown really need another skinny hotel with tiny rooms and horrible music in the lobby? Tintin, where for art thou? We need a new fix. Michael- That's 'cause there's ghosts here.